The Rhythm Ruler is the king of understanding rhythms. He carries a ruler and a time piece. He is wise to have discovered that notes are drawn on a staff based on their timing. 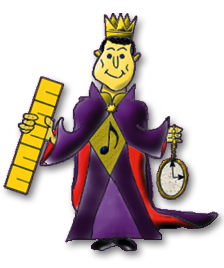 The Rhythm Ruler has agreed to share his ruler with us so that we can see how notes line up on the ruler throughout a measure. 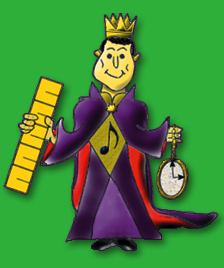 A fun way to learn how to read and count rhythms. Complete with practice modes and study modes, students will be taken through 8 levels each with 25-30 measures, starting simple then gaining complexity.